Tesla's Model 3 sales streak takes a breather. It had been a recurring theme here when it comes to Tesla Model 3 sales of late. 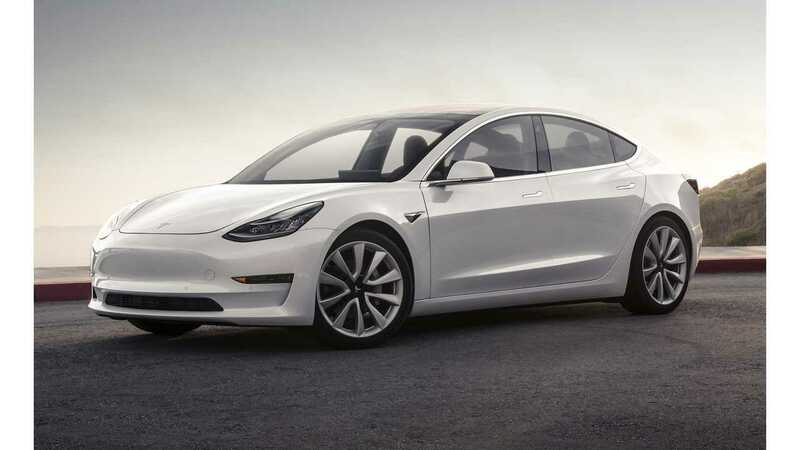 In both May and June, Tesla Model 3 sales exceeded 6,000 units, but that’s tiny compared to the explosion of sales in July, which amounted to 14,250. Think that’s a big number? Well…it was. That is, until August when it shot up to 17,800. Then, September came with a real blast as sales hit 22,250 units. Eventually, though, we knew this trend just couldn't hold. The Q3 end-of-quarter push was epic, but it's just not repeatable month after month. So now, for the first time since June 2018 when sales fell to 5,902 (compared to 6,000 Model 3 sold in May) we get to report that Model 3 sales have taken a downturn. Our initial estimates, which will be updated once again later today, peg Tesla Model 3 sales at 17,750 in the U.S. in October (*this figure doesn't include Canada). That is still the third-best sales result ever for the Model 3 in the U.S. and with this being the first month of the new quarter, we didn't expect a new record. The focus of late has been on introducing the Mid Range Model 3 and the big V9 software update. Additionally, more cars shipped out to areas of the country not in close proximity to Tesla's headquarters. This takes additional time. And some European homologation is underway for the Model 3, which means some small batch of cars made the trek overseas. If we look at year-over-year for the Model 3, the gains are ridiculous. In October 2017, Tesla sold 145 Model 3. Compare that to last month's 17,750 and you'll notice it's over 122 times the amount from last year. The Model 3 stands alone as one atop the sales chart for the year with no other plug-in electric car capable of catching it. The YTD tally so far stands at 95,822. An untouchable figure that's oh so close to 100,000. The highest previous volume of sales ever for an electric car in a single year was back in 2014 when LEAF sales hit 30,200. These two plug-ins were outdone by Model 3, but that’s expected. Both of those figures are well below September's results when our estimates put both cars at a volume of 3,750 for the Model S and 3,975 for the Model X.
Tesla holds a commanding lead in plug-in electric car sales for the year and will not be challenged by any other automaker for the YTD win. Our tally puts the automaker at a combined total of 134,427 sold (Model 3, S & X) in the U.S. through the first 10 months of 2018. In other words, Tesla is #1 in U.S. plug-in electric car sales for 2018 and the margin just continues to grow as the year progresses.